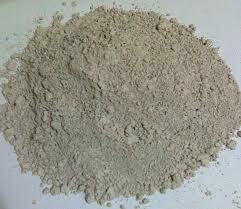 Diatomaceous Earth - Food Grade - Otherwise known as Fossil Shell Flour. It is an excellent natural bug killer that can also be used therapeutically. Good for the elimination of worms in humans and animals. Google it for more information. Sold by the lb. Note: If you use DE for yourself or your animals make sure it is "food grade". Regular DE as sold in Panama is for use as a filtering agent for swimming pools and is toxic for human consumption. $6.50 for one lb. bag. Sorry but no further discounts at this time due to increase importing costs.